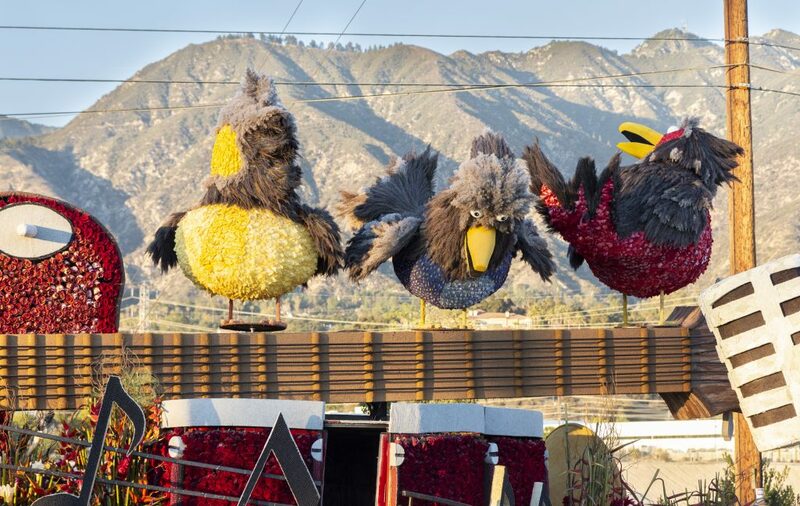 South Pasadena residents tuned in to watch the 103th annual Rose Parade Tuesday morning, Jan. 1, only to find that the city’s float, titled “Three Little Birds” was absent from the live coverage of the parade. The float, which won the Mayor’s Award, was one of a few entries that were not featured in multiple broadcasts after the stations cut coverage when a preceding float caught in a small fire. The Chinese American Heritage Foundation (CAHF) float, “Harmony Through Union,” caught fire in the middle of the route, halting the parade. The float was evacuated and the fire put out, however the delay in the parade caused spectators further down the route to believe that the parade was over. The crowd flooded the parade route on their way out, creating chaos in the streets. By the time the “Three Little Birds” continued along the route, most spectators had already left. News stations also wrapped up their live broadcasts before all the entries had been covered. The South Pasadena masterpiece that viewers missed out on utilized 20,000 roses, 15,000 alstroemeria, 4,000 orchids and thousands of other flowers. Three multi-colored birds sat atop a large guitar at the front, surrounded by a drum, microphone and musical notes. “Three Little Birds” by Bob Marley played as the float marched throughout the parade and the birds sang along and flapped their wings to the music. 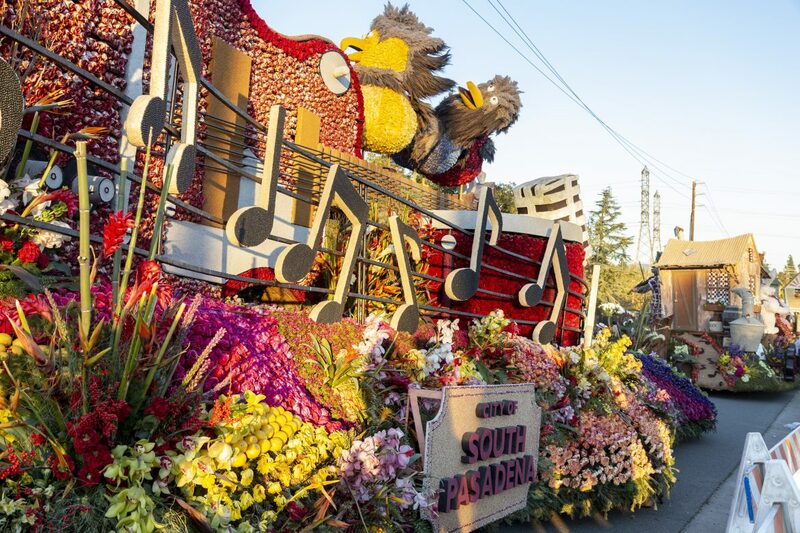 The float design was inspired by the Bob Marley hit, which is also known as “Every Little Thing is Gonna be Alright.” The South Pasadena Tournament of Roses (SPTOR) went through a strenuous process to earn the rights to play the song at the parade. Although the song owners originally asked for $100,000, South Pasadena only paid around $250 in required legal fees with the help of committee member Mike Crawley. The SPTOR dedicated thousands of hours to building and designing the float, with the help of many crew members and community volunteers. 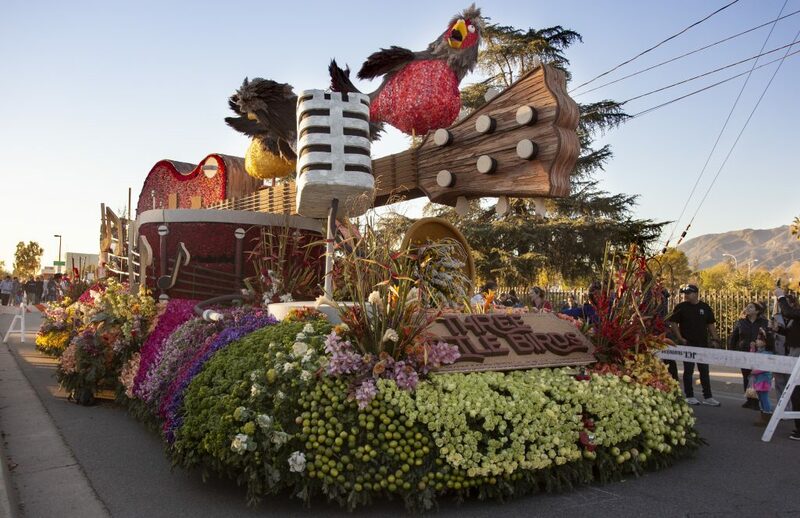 Many viewers were frustrated with the lack of coverage given to the “Three Little Birds” float and have taken to Twitter to request that the Tournament of Roses compensate for the unfair circumstance. The PTOR will conduct an investigation to determine the cause of the float fire and the CAHF could face a fine for halting the parade.